If you have ever wanted to replace a light, add a receptacle or modify your wiring you've had to look carefully at those wires coming out of your wall. Learn to be confident about wiring through a complete understanding of ELECTRICITY! 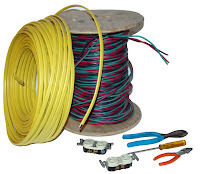 This workshop teaches how to wire or re-wire your home. We first describe what electricity is and how to control it in simple, non-technical language. Next we discuss the National Electrical Code, with focus on the major affects of the code on residential wiring, how to wire a house that conforms to the code and how to interpret the code. This is followed by a discussion of how electricity actually ends up in the house. Finally, we break into small groups to practice wiring sample panels, switches and lights. Learn the art of spoon carving in this one-day introductory hands-on workshop! This timeless craft provides a lifelong tool that can be used and appreciated daily. And a new skill that you can use and share.We will focus on getting familiar with the woodworking tools and materials that are ideal for spoon carving. Each student will make a scraping/spatular type of utensil that they can take home at the end of the day. All tools and materials are provided. 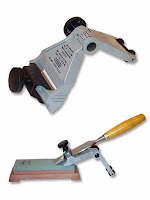 Registrants will receive a discount on any tools purchased in the week before or the week after this class. This class is taught by Maine's own Valdemar Skov, a woodcarver, furniture maker and engraver, specializing in ornamental carving of fine furniture, accessories, and architectural details, as well as engraving. A woodworker since 1986, and self-employed since 1990, Valdemar has been formally recognized for his work by the Maine State Legislature and has been featured in numerous articles, including a profile in This Old House magazine. Valdemar works out of his studio in Waldoboro, Maine and teaches carving for the Comprehensive. His combined skills and experience as a woodworker and an instructor will ensure that you walk away from this workshop with a greater understanding and competency. Because of the sharp hand cutting tools used in this craft, enrollment is limited to ten students and safety is a focus of the presentation. There are four spaces still available call (207-442-7938) or email today for more information! What is Geothermal Anyway? Those of you who are graduates of the DESIGN BUILD CLASS remember Pat’s antics in Mass & Glass about the football players dispersed across the field and packing into the closet and the description of Bill Loosely’s heat pump, heating his home in Canada since 1950! We’ve been teaching the physics of geothermal as part of larger course for 35 years but in the last few months we’ve had so many inquiries as to what Geothermal is, that we’ve invited a special guest, Tom Myette, of MIDNIGHT OIL to offer an introductory presentation on Geothermal, how it is installed in new construction and existing homes, what are some common pitfalls and how to determine if it is right for your home. This is a FREE one hour workshop with a question and answer session at the end but you must register in advance as space is limited. Send an email with your name, address and phone number as well as the class subject and date to info@shelterinstitute.com or call 207-442-7938 to reserve your spot today. Twenty-Three people from far reaching places like Alna, Maine, New Mexico, Virginia, Hungary, California, Canada and everywhere in betweem just spent five days learning the craft and art of timber framing with hand tools. After four days of drafting, engineering, sharpening and cutting they spent our last morning together assembling and raising this 24x24 structure. Join us for our next timber framing class in September or learn the systems of a home and how all of the components work together in our two week design build class in July!